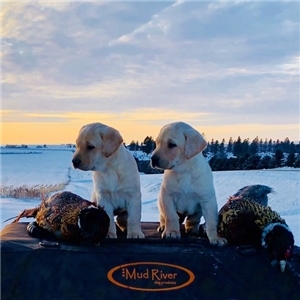 4 x GMPR sired all yellow litter born on January 4, 2018. 8 healthy pups (5 males and 3 females). This is a first time mating of two dogs that match up extremely well together! If you're looking for that dog that has the perfect look, a ton of drive, and strong natural pointing ability this is the litter. Both sire and dam have great personalities, are great family dogs, and have a pedigree that don't quit. This breeding compiles 19 GMPR titles, 11 APLA titles, and 9 FC AFC Titles or better. 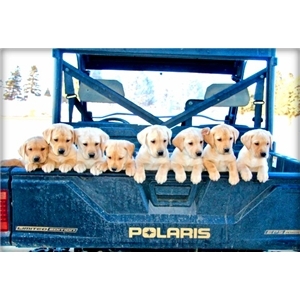 There are 8 APLA Hall of Fame dogs and a total of 45 titled dogs in the pedigree. Some notables include GMPR MPR Rik's Risky Raider MH, GMPR Grits of Black Forest SH, 4xGMPR Kroeger's Snapping Gator MH, 4xGMPR Honest Abe SH, GMPR Zig Zags Jipsey's Black Magic MH, CPR Minn Horse and Hunt Club Thor, and GMPR Wannamakers Hot Tubb SH. This pedigree combines a perfect mix of pointing bloodlines, and legendary field trial pedigrees! Both Abe and Briar come with all the health clearances, and are hip certified and eyes normal. 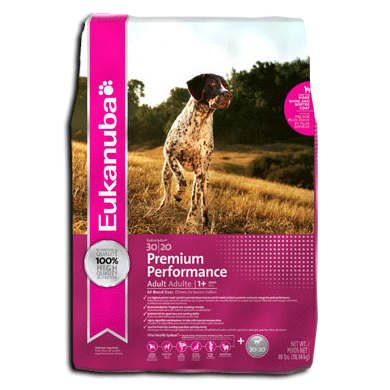 Pups will come with a 28 month health guarantee. Briar is that all around great family gun dog that everyone is looking for! She is the type of dog you can spend all day with in the yard, take for a walk, use to keep the kids entertained, but yet has a passion for upland hunting like no one else! Briar is a 60 pound female that is built for strength, athleticism, and endurance! Not to mention she possesses that same great look we've been seeking to reproduce for the past 10 years! She is a dog that can cover a lot of ground in a hurry, but never gets too rangy and constantly has her nose to the ground. At only 3 years old, many people often ask to hunt their pups alongside her because she hunts like a dog whose been doing it for 10 years. She uses her nose to pinpoint birds in the thickest of cover, and when the conditions are right she displays a strong and steady natural point. Her greatest attribute would be her ability to mark and find cripples. There have been very few crippled birds that have outsmarted over the years, and her determination is seldomly matched. Briar is the perfect all around gun dog and I'm impressed at how many things she does so well!